This question has fascinated me ever since a recent epiphany I had on this very topic. I realised suddenly that so many years of struggle and pain I had endured were because I had been living an inauthentic life. It was Katherine Woodward Thomas who came up with these words during one of her coaching calls and they were a true ‘ah-ha!’ moment for me. It was cathartic to finally find the words to name the reason for all my struggles and to see clearly in how many ways I had been inauthentic to my heart throughout the course of my life. I’ve since been on a rampant search for my own true, authentic voice. Who am I really? What do I really want? 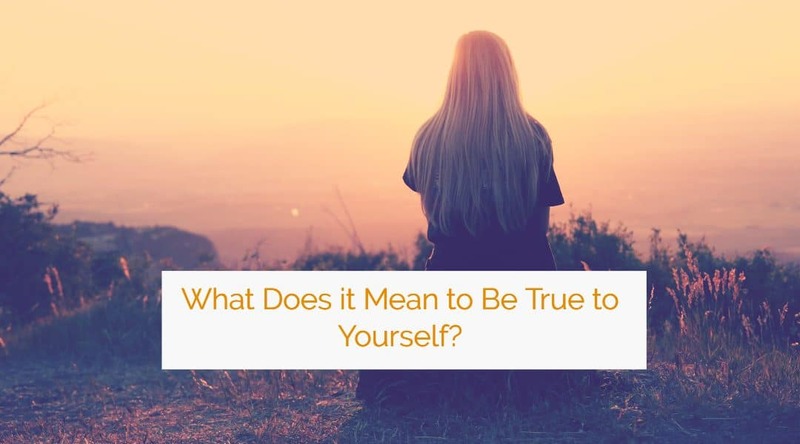 What does it mean for me to be authentic? We receive so many messages when we’re young. So many messages that are not necessarily true for us, yet we take them on as if they are, because who are we to know? We’re young and parents and teachers know better, they’ve experienced the world. Of course, the messages we receive are radically different depending on our cultural background, our gender, our parents’ social class etc. And how we react to them also depends on our own individual personality. In my case, a middle class white family in suburban Australia, I received messages like: You’re a good girl if you do this, you’ll get far if you do this, you have to work hard and struggle to get anywhere but it’s worth it, success takes sacrifice, education is the most important thing in the world, particularly science & engineering as those fields will always have jobs, corporate careers are the way to make money, we have to sacrifice what we love to do what is best, financial security is paramount, creative talents are for hobbies, not a real career, there is no money in the arts, humanities studies are not real studies, you will never make money as a linguist, you are loved and valued for what you can achieve… . As an impressionable young girl, desperately wanting my parents’ love and approval, I took these messages seriously. You love writing, you love languages, you love creative expression, you love people, community and connection, you love stories, you love dancing. Because the messages I received allowed no room for these whispers. They simply didn’t fit in my world of parental expectations. I was fortunate that I did not ignore every whispering I received from my heart. I’m blessed with quite a stubborn, rebellious and adventurous spirit that urged me to spend 12 months in rural Paraguay (South America) as a cultural exchange student, which was a life-altering and heart-opening experience, and to take 12 months off university after my second year to backpack and work my way around Europe. I learned the art of living off the lowest wages, of doing any job that came up to cover the next train ticket, of feeling at home in all kinds of squalid accommodation, befriending people from all walks of life and all different countries and lifestyles. 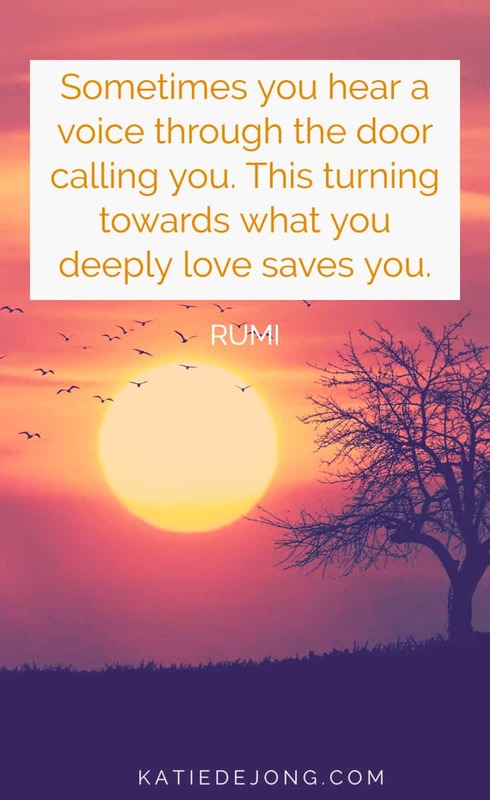 Each of these experiences cracked me open in some delightful way, allowed the light to flow into my heart and reach the furthest corners where my true essence was lying there waiting for me to tap into it. I discovered my love for people of all cultures, all races, all backgrounds, a deep compassion for those born and raised into poverty and difficult circumstances, a deep compassion for the planet and all the damage we are inflicting upon it, a deep joy of connecting with other human beings and listening to their stories. But somehow the childhood messages were deeply ingrained. I remember the exact moment at which I made the decision to ‘sacrifice’ my heart’s joy for the noble good of earning a decent living and setting up a financially secure future. I was sitting in a plane on the way back from Argentina, having travelled there over the university holidays on money earned from working three part-time jobs (yes I had a tendency to burn the candle at both ends) and savoring the delicious experience I had just had. My heart opens in an indescribable way in South America, there’s something about the way they value family, fun, community, and dancing above all else, and live a seemingly uncomplicated and joyful life. At that moment I was on my way back to finish my final year of university, which I knew would be tough, and I knew I would have to do postgraduate degrees after the basic degree to find a good job in my particular field. If I’d had the courage to put aside my childhood conditioning when deciding what to study at university, I would have chosen to study languages without a doubt. Learning and speaking other languages brings me so much joy, I absorb them quickly and easily, with almost no effort. Wouldn’t that be a sign of your heart’s purpose, if something feels so joyful and effortless? But my childhood conditioning and parent’s advice urged me to pursue a career in science & engineering, given the increased job opportunities I would have. In that moment sitting in the plane, coming back from my overseas holiday, I knew the fun times were over. From now on it would be hard work, sacrifice, and time to build that much coveted financially secure future…. my heart sank and I knew I was making a choice that was perhaps not authentically me. But what choice did I have? A financially insecure future was no option in my mind of beliefs. I knew that a secure future would require sacrifice, hard work, sweat, and tears, right? …seeking financial security, job opportunities and deep down, my parent’s approval. I knuckled down and finished my degree with Honours, then on to completing my Doctorate (self-sacrifice is honorable right? And we’re seen and loved for our achievements right?). This is where I started unraveling at the seams. While I was passionate about my chosen field, the whole field was simply not in my zone of genius. I’m a creative soul, a linguist, a humanitarian. So why on earth was I doing science & engineering? The work was tough and difficult, I had to work long hours to keep up with the demands, it didn’t come naturally to me yet I was determined to do well. There was no room for failure. My health plummeted; I was drained, depleted and completely exhausted. Yet I had to achieve and do well, after all that was how I would be seen and loved. I was chasing that elusive abundant financial future and job security. I was chasing love and approval. As I moved from university into the corporate world, I was finally able to enjoy my first decent income. So it was all worth it right? I had a great permanent work contract with a great company, I had interesting and challenging projects. I’d made it. I was secure. I consistently ignored the signs of my inner wisdom. I over-rode them. I was getting more and more tired, my brain was becoming foggy, my attention span was dwindling. I was tired, always tired. Physical symptoms started manifesting, indigestion problems, sleep problems, and finally an acute over-active thyroid that caused me insomnia and a loss of 10 kg within one month. You would think this sign would get my attention that something in my current life was not right, right? Well, not really. I read Louise Hay’s book on the spiritual causes of physical illnesses. The spiritual cause behind an over-active thyroid was ‘when would it be my turn?’ This was absolutely what I was thinking. When I looked around me, I saw all my friends enjoying life, with active social lives, budding careers, travelling, starting families. While I was stuck in pursuing a difficult career that had wonderful career prospects and financial security, but with my physical body that was falling apart and a mind that was in torture but had no idea how to escape it. There was no room for changing my career path. I had invested so much in this path, I’d given everything, my blood, sweat, and tears — literally. My partner and I had bought a house and we were financially stuck. We needed my income. There was no room to take time out. I hadn’t earned enough sick leave at this early stage of my career to take time off. I had chosen this path and I had to make it work. As ways to survive I delved into yoga and meditation that helped greatly. I read spiritual teachings, hoping to discover my true life purpose and how to live it. I rested as much as I could. I got help through acupuncture and bio-resonance to alleviate my physical symptoms. I maintained a semi-decent social life. On the surface, things looked pretty good. My career was flourishing, I had been invited to be a Shareholder of my company and I was holding down senior management positions. I was facilitating workshops, attending conferences and presenting well-received papers. This was everything I had always wanted, wasn’t it? So why was I still always so tired? And why did I feel so empty? Something was missing. Something big was missing. I wasn’t getting my gifts into the world. I didn’t feel as though I was making an impact, my soul was under-fed and under-nourished in every possible way. And at a deep soul level, I was simply exhausted. I believe the Universe never stops giving us gentle nudges in the direction we need to be going to live our purpose. I had ignored my gentle nudges for so long that they were eventually turning into sledgehammers. The final wakeup call came when my husband and I wanted to start our family. We went through two devastating miscarriages within a 12 month period. For the first time in my life I actually thought I could no longer go on. I entertained thoughts of leaving this world. Nothing could explain the deep, gut-wrenching pain and sadness I experienced every waking moment. I had always wanted to be a mother. I couldn’t understand why the Universe was making me endure this, after all the suffering I had been through continuously since my early twenties, with the constant fatigue and physical symptoms, why this on top of that? Hadn’t I suffered enough? But fortunately, the Universe knows the game plan. Somehow it knew that this was the only way to wake me up from the deep illusion I had dug myself into. It didn’t work after one miscarriage. I went straight back to work and into the same old routines and behaviours as before. Over-doing everything. Over-achieving in everything, as a way to prove my worth and that I was good enough. It took a second miscarriage to shake me up sufficiently such that I would walk into the office the next day and request 3 months off work. I handed over my job and went home to rest, reflect and rejuvenate. For the first time in my life, I was choosing for me and my needs. What an amazing feeling. At the age of 35 I realised I had never done this before, put my own needs first, I had always been trying to please others, live up to others’ expectations of me. It was during this time, away from the grind of corporate office life, sipping coffee at the beach one morning, that I had an epiphany. I could continue this life of chasing love and approval through things that do not feed me spiritually and emotionally. Or I could choose to leave that life behind and find the path that is authentically me. 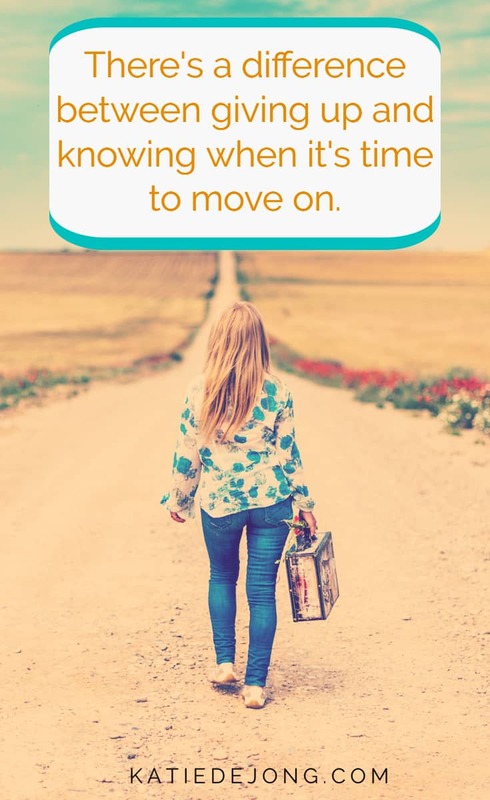 I didn’t take this decision lightly, given how much I had invested in my career to date, but once the thought had entered my head that there was another way, there was no going back. It felt like a tonne of bricks had been lifted from my shoulders. It felt like the light was seeping in under the veil of illusion that had kept me separated from my authentic self. I felt my heart fill with joy. It felt like the Angels were rejoicing and celebrating that I had finally heeded their call. It’s been two and a half years since I left my corporate career and finally became a mother, to our absolute delight. 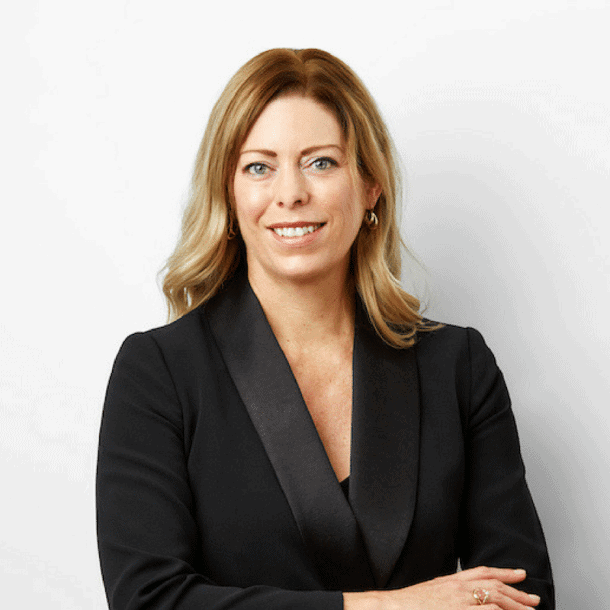 We were given the amazing opportunity to embark on overseas postings through my husband’s work, which has given me time and space to dig deep and discover my true passion and calling (does the Universe suddenly support us in every way after we’ve woken up to the call to find our authentic self?). After much reflection, I decided to study remotely to become a Life Coach and to focus on writing. Through coaching I am finally following my heart’s passion, connecting with people, listening to their stories, helping them find their own authentic self. I cannot explain the synchronicity that has followed me since I made the decision to be true to my heart and soul, doors opening at exactly the right time, my health improving out of sight, my energy levels soaring, meeting the right people at the right time, being guided to the right books, the right teachers and the right clients at the right time. … doors opening at exactly the right time, my health improving out of sight, my energy levels soaring, meeting the right people at the right time, being guided to the right books, the right teachers and the right clients at the right time. How did my friends and family react to my decision to leave my old career behind and follow my heart? Initially with shock and disbelief (I had many people openly laugh at my decision), followed by understanding and compassion, and these days with admiration and respect. People are realising more and more that the only path to real, authentic joy, is to be our real, authentic selves. There is something that happens when we dare to connect with what is authentic and true in our own heart. In my case, I feel like I’m finally tapping into the Universal power, opportunities miraculously open up, synchronicities abound, I feel I am flowing with the river instead of swimming upstream and I feel a deep sense of relief, joy and clarity that I had never felt before. I wake up excited about the new day ahead and uplifted by the positive contribution I can make through my own unique gifts and talents. To me, this is what it means to be authentic. My heart and soul feel alive and connected to all of humanity, I feel aligned, I feel infinite gratitude and deep inner happiness, and most importantly, I finally feel free. I don’t believe there can be anything more beautiful than being able to joyfully serve others, in a way that feels authentic to our hearts. I think we pay a high price for being inauthentic. It’s as though the Universe is programmed to increase our pain and struggle exponentially the further we get away from our true, authentic self. So I wonder, how do we help each other to find our own authentic selves? In their hearts, our parents had the very best intentions for us as children. It isn’t their fault they embedded messages into our belief systems that encouraged us into directions that may not be our authentic path to follow. They grew up in difficult times when financial security was the only thing that mattered. It was still about survival, not self-actualisation. And I don’t want to paint a bad picture of my parents; they were very loving, very supportive and simply wanted the best future for us. I wonder how many of their generation and all the thousands of generations before were able to be their authentic selves? How many people actually had a choice? I dare to think not many. The fortunate few who were able to be authentic to their heart and soul were the lucky minority. We are so fortunate that we’re now entering a time of prosperity, of increased choices and opportunities to explore deeply how we can earn a living doing what we do well and what we love. Times have changed. I am now 100% committed to helping others find their own authentic voice. 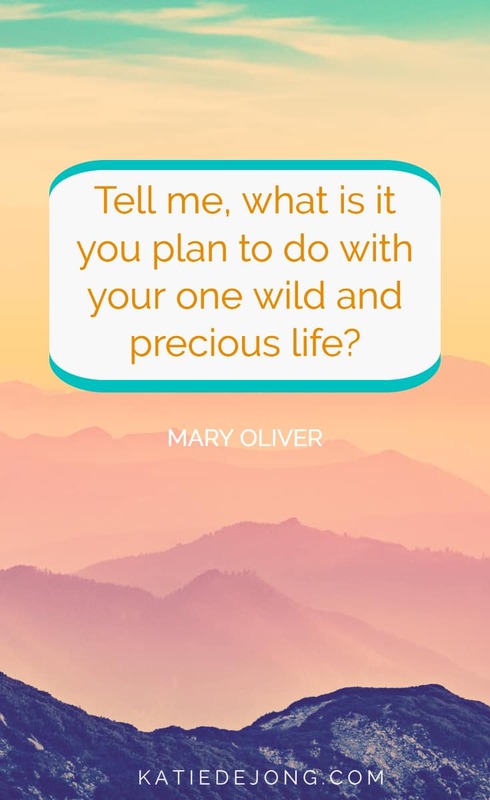 I’m passionate about helping people experience that degree of freedom and joy that comes when we take the time to slow down and listen to those whispers in our heart that lead us back to our authentic self. It has to be acknowledged that the path of our authentic self is not always easy. We are still challenged with many things we need to learn along the way, it can be difficult creating a secure financial base and livelihood from doing what we love. It takes courage to escape the confines of our secure jobs that provide for all of our needs except perhaps our spiritual and emotional ones. We have responsibilities in life and commitments, it is not always possible to take that leap of faith when we want to. But I do truly believe that once we make the commitment to find our authentic self and to courageously take steps in that direction, we suddenly find unlimited support and opportunities opening up to help us, the support of the Universe is suddenly up underneath us and limitations we thought we had dissolve or go away. Miraculous things can happen when we decide to ‘go for it’, all the way. Just as it seems pain and struggle increase the further away we get from our authentic selves, in reverse, joy and ease seem to increase the closer we get to being our authentic selves. 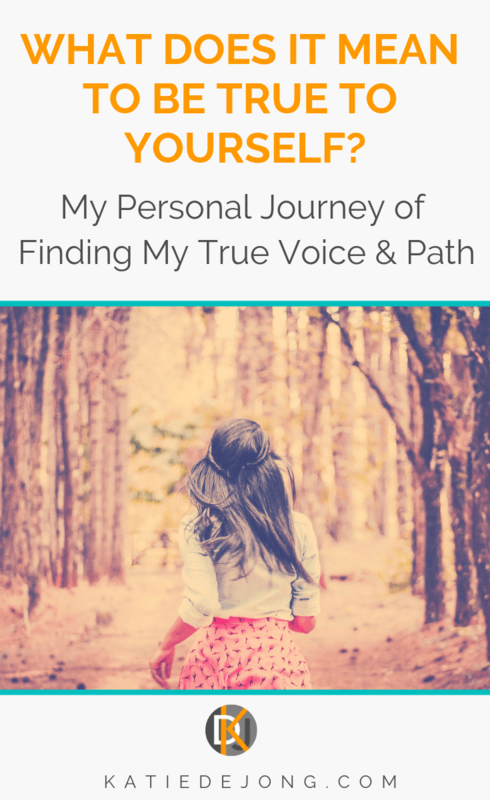 So what would I recommend we do in our quest for finding and being our authentic self? Number one, we need to listen to our hearts. Stop, slow down, take time out, get quiet, and listen. I know we lead busy lives, I know we think there isn’t always time. But once we make the commitment to be true to ourselves, we find we can make time, and suddenly and miraculously we find our access to time increases. The whisperings are there in our heart, just waiting to be heard. We need to ask ourselves, what do I love doing? What kind of person do I love being? Within those things we love doing lie hidden the treasures of our own specific, unique gifts that we uniquely have to bless the world. The world desperately needs our specific gifts because no one else can give them except us. If we don’t nurture and contribute them in service, we and the world will have missed out on our biggest blessing and the Universe will mourn that loss. The heart cannot give false advice, it always leads to growth and expansion, to service in joy and a profound blessing to our soul and the world. So we just need to get quiet and listen. Of course, we encounter obstacles along the way, those false nagging beliefs that tell us we can’t do that, or we’re not good enough to do this… we are all slaves to our internal beliefs. But these beliefs can be overcome through gentle and deep belief work that remove the obstacles we have created in our minds. We might come up against unforeseen challenges that make us feel we’re on the wrong path after all. However, I believe the Universe continues to provide us the challenges we need to grow, strengthen and evolve the skills we need to be doing the work we want to do. Being authentic requires growth and expansion, healing and love. It is not a journey for the faint-hearted, but it is one that is guaranteed to bring us back to our soul, where all that is joyful and wonderful in this life resides. 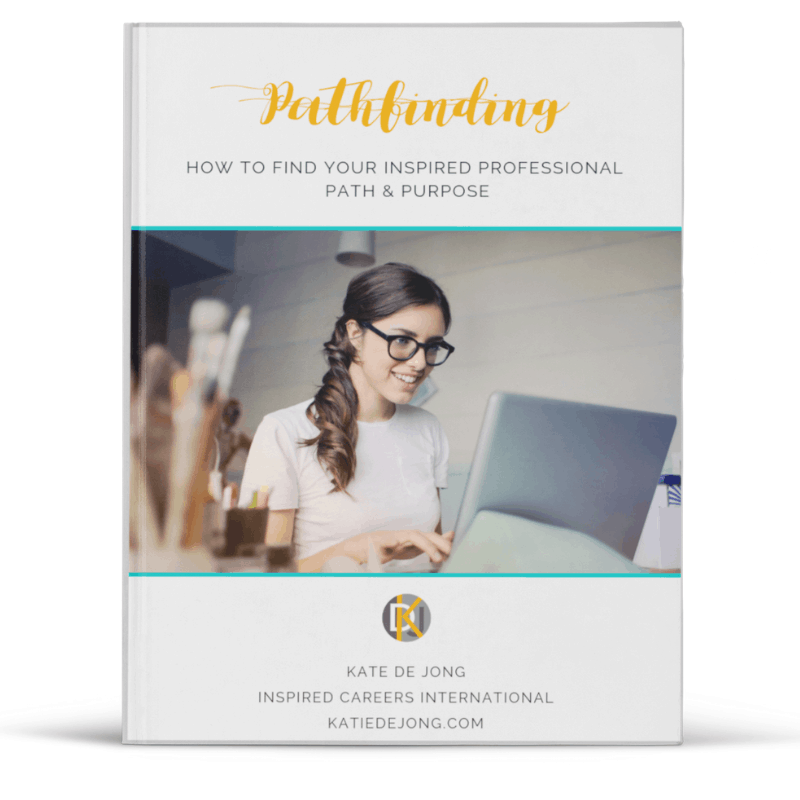 If you feel lost and need help uncovering your most authentic and joyful path and purpose, download your FREE copy of my E-Book PATHFINDING: HOW TO FIND YOUR UNIQUE PATH AND PURPOSE and start taking steps to build a life you love today. 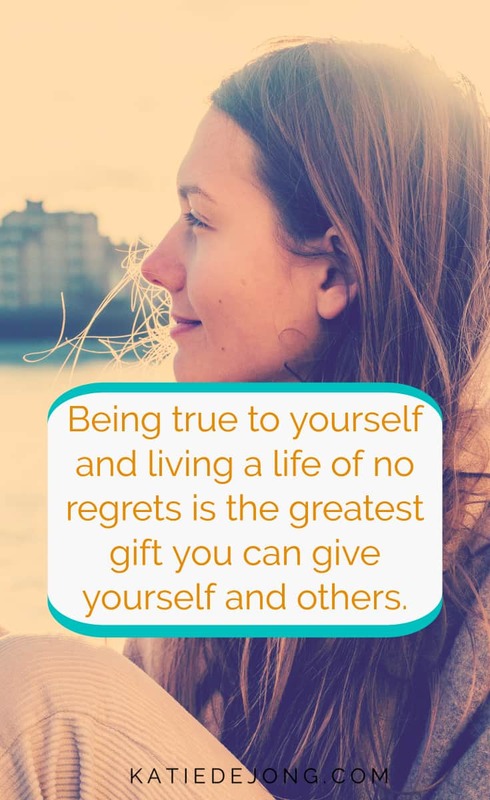 Live a life of no regrets! Time is short, don’t waste another day – you CAN make a difference and earn great money, doing what you love. Find out how in my E-Book PATHFINDING.